1944 - 2018. Dr. Israelachvili joined our faculty in 1986. He held joint appointments as Professor in our Chemical Engineering Department, Materials Department, and BioMolecular Science and Engineering Program. From 1993 to 2003, he served as Associate Director of our Materials Research Laboratory. He was a highly influential scientist and engineer, authoring or co-authoring 492 journal articles as well as a 700-page textbook on Intermolecular and Surface Forces, which became the standard reference in this field. Since 2011, the 3rd edition of this textbook has been cited more than 30,000 times. He is known for developing original and path-breaking experimental techniques for measuring intermolecular forces that have led to the discovery and elucidation of fundamental molecular interactions in complex colloidal and biological systems and at interfaces. This aided in the development of technological applications including the creation of biocompatible surfaces, development of new types of structured materials and soft biomaterials, and diagnosis of pathological membranes and tissues. 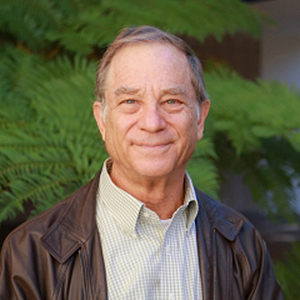 Dr. Israelachvili was elected to the National Academy of Sciences in 2004, and to the National Academy of Engineering as a Foreign Associate in 1996. He was a Fellow of the Royal Society of London, the American Physical Society, and the American Association for the Advancement of Science. 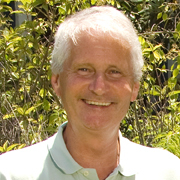 Among the many other honors and recognitions he received for his pioneering research were the William H. Walker Award for Excellence in Contributions to Chemical Engineering Literature from the American Institute of Chemical Engineers in 2012, the American Chemical Society’s National Award in Colloid and Surface Chemistry in 2009, and the Materials Research Society Medal in 2004. He was our campus’s Faculty Research Lecturer in 1997. Through his research, teaching, mentorship, and leadership, Professor Israelachvili has had a lasting impact on our academic community and the global scientific community. He will be deeply missed by all the members of our UC Santa Barbara family. Our hearts go out especially to his wife, Trudi, and to all of his family members, colleagues, students, and friends. Prof. Kramer first joined our faculty in 1997, and held a joint appointment in Materials and Chemical Engineering. He came to UC Santa Barbara from Cornell University, where he was the Samuel B. Eckert Professor of Materials Science and Engineering. Prior to that he was a NATO Postdoctoral Fellow at Oxford with Sir Peter Hirsch, FRS. He received his B.Ch.E. in Chemical Engineering from Cornell University in 1962, and a Ph.D. in Metallurgy and Materials Science from Carnegie-Mellon University in 1966. Prof. Kramer was widely renowned for his pioneering work to advance understanding of the fundamentals that control the structure, properties, and processing of polymers. His early research centered on polymer deformation and fracture and diffusion, particularly in understanding the mechanisms of polymer crazing. More recently his research has been influential in establishing block copolymer lithography as a potential method to extend optical lithography to smaller feature sizes, and his research on the interaction of polymer-coated nano-particles with the interfaces of block copolymers led to the exciting discovery that these nano-particles can behave as surfactants, bringing dramatic changes in block copolymer morphology at even small volume fractions. His Ph.D. research focused on understanding of flux lattice pinning by dislocations, small precipitates, grain boundaries, and surfaces in model superconductors. Prof. Kramer was highly regarded by his peers around the world, as evidenced by the numerous honors he received for his achievements and contributions. He was a Fellow of the American Physical Society, the Materials Research Society, and the American Association for the Advancement of Science. He received a Senior Scientist Award of the Alexander von Humboldt Stiftung in 1987 and was a Guggenheim Fellow in 1988. He was elected to the National Academy of Engineering in 1989 and to the American Academy of Arts and Sciences in 2012. Included among his many prestigious accolades are the Polymer Physics Prize of the American Physical Society, the Swinburne Medal of the Institute of Materials, the Polymeer Technologie Nederland Medema Award of the Dutch Polymer Society, and the Polymer Materials: Science and Engineering, Cooperative Research Award of the American Chemical Society. Prof. Kramer’s scholarly contributions were outstanding and will have lasting impact on the field. He helped to elevate the stature of our university and our top-ranked Materials and Chemical Engineering departments, and provided exemplary leadership and service to our campus community in many other ways. He was a beloved teacher and mentor, and an admired role model for students and colleagues alike. He was also responsible for the establishment of the Edward Noble Kramer Chair in Materials, established in honor of his father. We were blessed to have benefited from Ed’s collegiality and legendary contributions to our academic community over the past decades. Our hearts and thoughts go out to Ed’s wife of 51 years, Gail; his children, Jeanne and Eric; and to his wide circle of family and friends. 1939 - 2010. Professor Frederick F. Lange passed away April 2, 2010, while with his wife and family in Tucson, Arizona. Prof. Lange joined our campus community in 1986 with a joint appointment as Professor of Materials and Professor of Chemical Engineering. He contributed tremendously to the development of both departments and to our campus as a whole over the past 24 years. From 1998 to 2005 he served as the Chair of our nationally top-ranked Materials Department, and from 1999 to 2005 he held the Alcoa Chair in Materials. He was an admired colleague who led by example, an outstanding professor who inspired and guided generations of students, and an indefatigable champion of international collaborations in materials research. In addition to his positions at UC Santa Barbara, Prof. Lange held a distinguished visiting professor appointment at the National University of Singapore. He received his B.S. in ceramic science at Rutgers University and his Ph.D. in solid state technology at Pennsylvania State University. Early in his career he was a temporary senior scientist at AERE Harwell; he joined Westinghouse Research Laboratory as a fellow scientist, then went on to Rockwell International Science Center as a group leader and later a principal scientist. From 1979 to 1986 he was an adjunct professor in the Department of Materials Science and Engineering at UCLA. He was a Jubilee Professor at Chalmers University and a Miegunyah Distinguished Fellow at the University of Melbourne. Prof. Lange was held in the highest esteem by scholars around the world for his creativity and pioneering work in the conceptual design of structural and functional ceramics, as well as his science-based development of novel processing approaches. His broad research interests included topics as diverse as colloidal routes to powder processing of advanced ceramics, solution processing routes to single crystal films, design and synthesis of superhydrophobic surfaces, fracture mechanics, and processing and properties of damage-tolerant ceramic-matrix composites. Some of his principal contributions were in the processing of ceramic microstructures that produce higher crack growth resistance, and colloidal powder processing methods leading to improved processing reliability by minimizing flaw populations. Prof. Lange was an ISI Highly Cited Researcher, with more than 300 journal articles and 32 patents to his name. He was an elected member of the National Academy of Engineering as well as a Fellow and Distinguished Life Member of the American Ceramic Society. Prof. Lange won nearly every major award of the American Ceramic Society, including the Outstanding Educator Award, the John Jeppson Award, the Sosman Memorial Lecture Award, the Richard M. Fulrath Award, the Ross Coffin Purdy Award, and just last year, the W. David Kingery Award. He received numerous other prestigious honors for his achievements and contributions over the years, including a Max Planck Research Award, a Humboldt Senior Fellowship, and the 2009 Richard Brook Prize from the European Ceramic Society. While working for Rockwell International Science Center, he was named Engineer of the Year in 1980 for recognizing the failure mode for a Space Shuttle tile problem that arose eight months prior to the Shuttle’s first mission. Our hearts go out to Fred’s wife, MaryAnn, and all of their children, grandchildren, family members, and friends. Prof. Lange will be greatly missed by our entire UCSB community. 1942 - 2009. Professor Anthony Evans passed away September 9, 2009, at home with his family. Prof. Evans was a renowned researcher and scientist, a dedicated teacher and mentor, and a beloved campus colleague. He made enormous contributions to our university and to the world community. 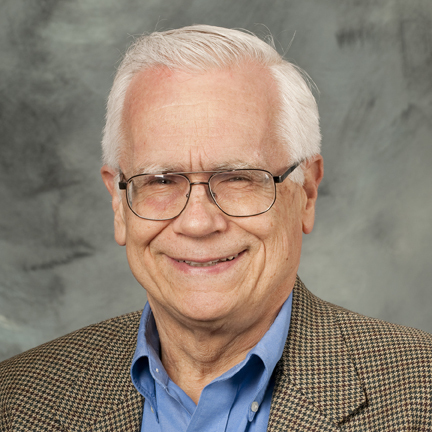 Prof. Evans joined our faculty in 1985 and served as the founding chair of our top-ranked Materials Department. He was our Alcoa Professor of Materials, Professor of Mechanical Engineering, Director of our Center for Multifunctional Materials and Structures, and past Director of our High Performance Composites Center. An expert on the properties and behavior of advanced structural materials, Prof. Evans pioneered a new understanding of the structure of ceramic-matrix composites and the mechanics of toughening brittle materials. He was one of the most highly cited authors in his field, with more than 540 publications to his name. He served as vice president of the American Ceramic Society, and as chair of the Defense Sciences Research Council. 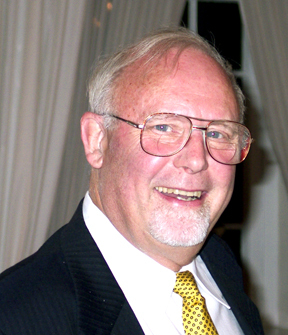 Prof. Evans received numerous honors throughout his career for his achievements and public service, including the 2005 ASM International Gold Medal, the 2003 ASME Nadai Medal, and the 2002 Humboldt Research Award for Senior U.S. Scientists. He was a member of the National Academy of Sciences and the National Academy of Engineering, and a Fellow of the American Academy of Arts and Sciences, the Royal Society of London, and the Royal Academy of Engineering of London. Tony's brilliance, enthusiasm, and unquenchable intellectual curiosity were an inspiration to us all. His contribution to establishing the culture of collegiality and interdisciplinary research that is a hallmark of UCSB cannot be overemphasized. We feel deeply privileged to have known him as our colleague and friend.